"Well done! 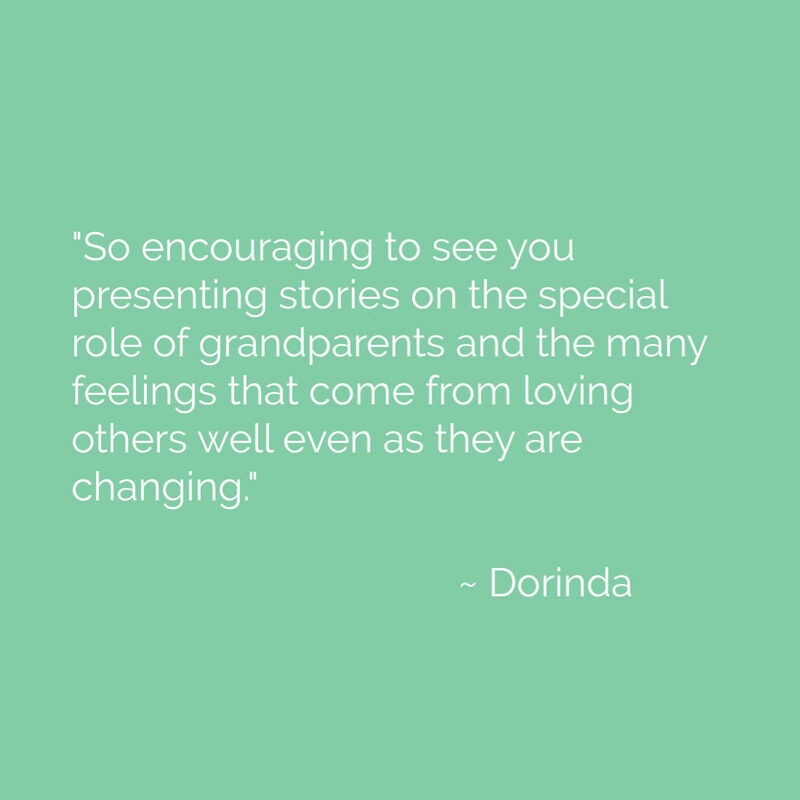 So encouraging to see you presenting stories on the special role of grandparents and the many feelings that come from loving others well even as they are changing. Excited to listen to this series and thankful you see the value and teach the value of those ahead of us! Thank you!